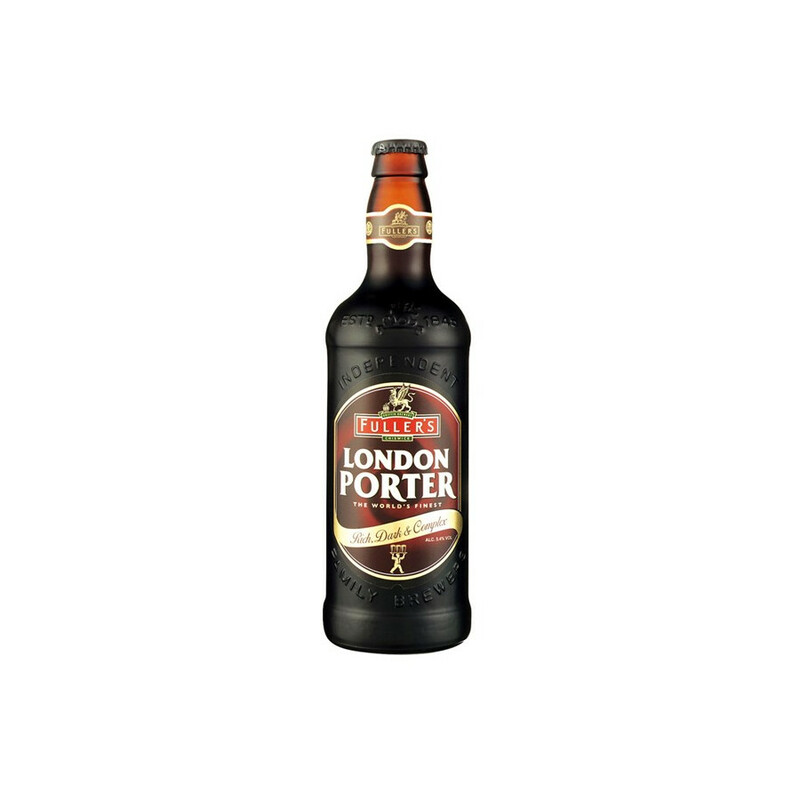 The Fuller's London Porter is a rich, creamy porter considered as one of the best porter in the world, as illustrated by the many prizes obtained by the beer. 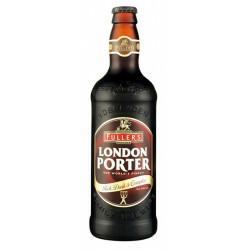 The Fuller's London Porter is a rich, creamy porter considered as one of the best porter in the world, as illustrated by the many prizes obtained by the beer. Out of this top fermentation porter beer came the stout beers. Fuller's call upon the Londonian tradition to return the London Porter to its former glory. Exceptionally rich in flavours, a special blend of Brown, Crystal and Chocolate malt account for its creamy, rustic texture with distinctive notes of nuts, coffee and chocolate. This beer is perfect paired with meat, pudding or chocolate. The Fuller’s Brewery has been established more than 350 years ago. It is located in Chiswick, in west London. In 1829, as the owners were in financial trouble, they asked for the help of a new investor, John Fuller. The partnership appeared to be arduous without the help of a master brewer and in 1845, John Bird Fuller, John Fuller’s son, associated with Henry Smith and Master Brewer John Butler to form Fuller Smith & Turner, the company which is still in place today. Throughout the years, the company established its reputation as a great brewery and pub manager. Indeed, this is the only British brewery awarded the “Champion Beer of Britain” title for three beers: London Pride, ESB and Chiswick Bitter. In 2005, the brewery owned more than 360 pubs in total. Nose: exceptional richness of flavours with notes of coffee, liqurorice, dark chocolate, caramel, mocha and dried leaves. Bouche: a mellow, creamy stout with warm oaky and malty notes, nuts, chocolate and coffee.